Workers’ compensation law is a system of laws designed to provide injured workers with specific benefits and a legal forum in which disputes can be resolved between injured workers, employers and in which disputes can be resolved between injured workers, employers and insurance companies. 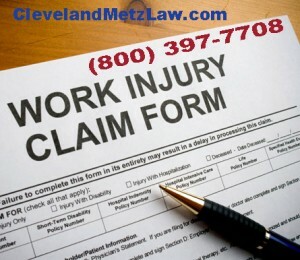 A workers’ compensation claim is not a lawsuit against your employer; it is simply a request for insurance benefits. A workers compensation lawyer can help you to the workers comp claim process. What Happens If You’ve Been Hurt On The Job? If you have been injured on the job, a California workers compensation lawyer can help you deal with all your physical injuries and diseases that result from your job duties or work injury are covered by workers’ compensation. Workers compensation lawyers can help you with the proper filing of workers compensation claims at the Worker’s Compensation appeals board which is the designated court for the litigation of workers comp claims. In order to receive workers’ compensation benefits under California Workers’ Compensation, you must report your workers compensation injury to your employer as soon as possible after it occurs. Your employer must then file a workers compensation claim with the work comp insurance carrier so that your workers compensation claim will be paid. If you are injured at work, your workers compensation lawyer does not need to prove that your employer is at fault for your injuries in order to receive your work comp benefits unless your claim is denied. However, a number of other obstacles may stand in the way of collecting benefits in your workers’ compensation case. Your company and its insurer’s workers compensation lawyer might say that your health problem isn’t job-related, or may disagree on the seriousness of your injury – and therefore their workers compensation lawyers will refuse to pay all or part of your claim. An employer may try to prevent you from filing your workers compensation claim, or try to retaliate when you collect benefits. A California workers compensation lawyer can help you get through this maze. The current Worker’s Compensation law presents a complicated maze of rules and procedures in which an injured worker could become hopelessly lost. Your workers compensation lawyer will preserve your right to select your treating work injury doctor and receive all workers comp medical treatment reasonably necessary to cure all relieve that effects your injury, potentially for life. Based on current law you will have to navigate medical provider networks, requests for authorization, utilization review and independent medical review. It is recommended you have an experienced attorney to help you with these procedures. A California workers compensation lawyer will ensure you received Payment of two-thirds of your average weekly gross pay, with certain maximum and minimum limits; it is paid every two weeks while you are off work and undergoing active medical treatment or state disability if your claim is denied. If you don’t completely recover from the effects of your injury, you may be entitled to a monetary award which can be secured with the help of the California workers compensation lawyer. The amount of the award (and the weekly rate at which it is paid) depends mainly on how your work injury limits your activities; it is also affected by your age, your occupation, and your earnings at the time of your workers compensation injury. According to workers compensation law, after your condition has been declared permanent and stationary you may be entitled to permanent disability benefits according to the workers compensation law schedule. If you are no longer able to do your old job, and your employer does not offer you ano ther, you may be entitled to a workers compensation law benefits known as vocational rehabilitation. Under the workers compensation law reform of 2004, the old system of vocational rehabilitation no longer exists as of 2009. Currently according to workers compensation law, a Supplemental Job Displacement Voucher that ranges from $4,000.00 to $10,000.00 depending on level of workers compensation law disability exists for dates of injury from 2005 to 2012. For dates of injury between 2005 and 2012, the Supplemental Job Displacement Voucher may have a cash value in a final lump sum settlement. For dates of injury in 2013 and later, the voucher is $6000 and you may be eligible for an additional payment of $5000 from the newly formed return to work fund. Please contact our office for additional information and eligibility for the $5000 return to work fund benefit. There is no attorney’s fee taken from the $5000 return to work fund benefit or the $6000 Supplemental Job Displacement Voucher. 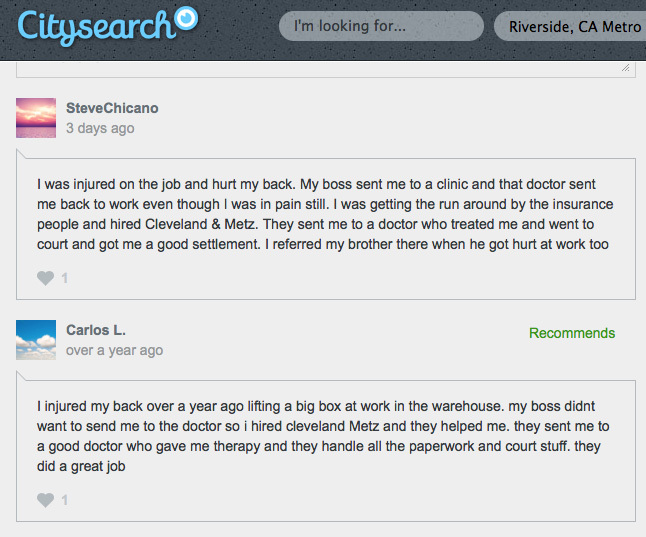 REMEMBER: Your employer and the insurance company have attorneys advising them about your case. You are entitled to do the same.